Literally the first rays emerging over the horizontal. When I took off, there was no sun visible from the ground. 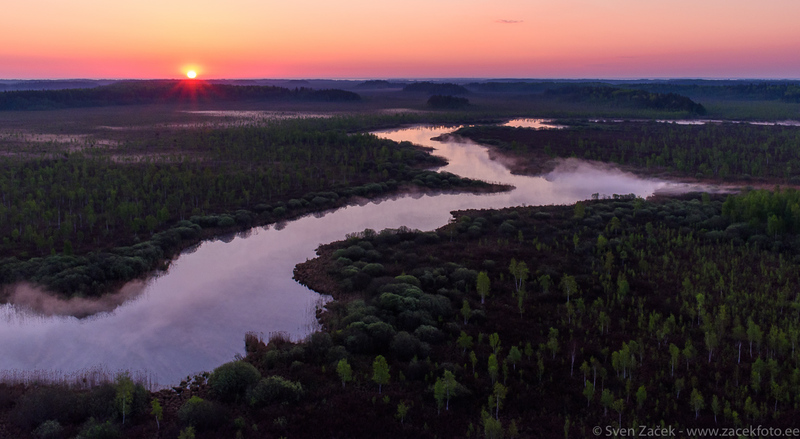 It took more than half an hour for the sun to creep high enough over the mineral bog islands with taller trees to shed its light on the ground. Photo info - Spring: Nikon D810A + Nikkor 35mm F18. F9 1/250 ISO 1100. Thank you, Aaron! Yes, this is pure nature, no digital enhancement.